What used to be a countdown landing page on the DDR 20th Anniversary page became details for a new DDR A event! 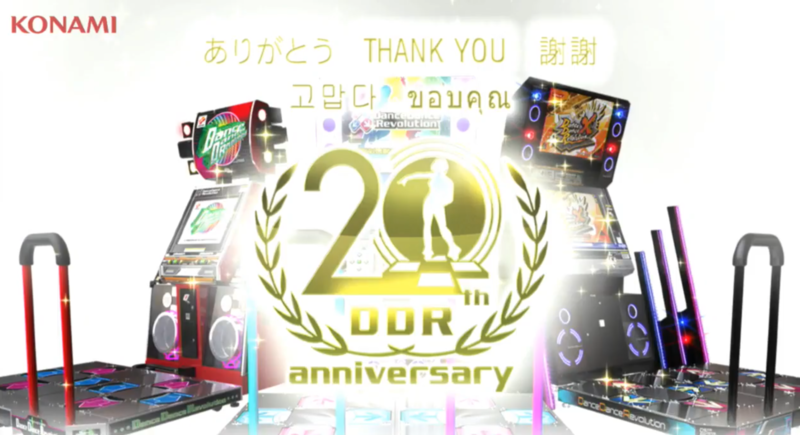 After a new update dropped yesterday, players are met with a new DDR 20th Anniversary “Thank You” screen. 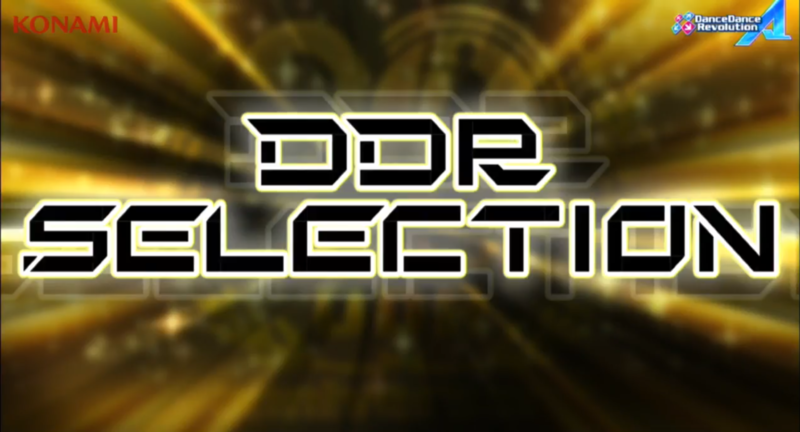 As soon as the update went live at 9pm EDT/4pm PDT, a section named “DDR SELECTION” appeared. 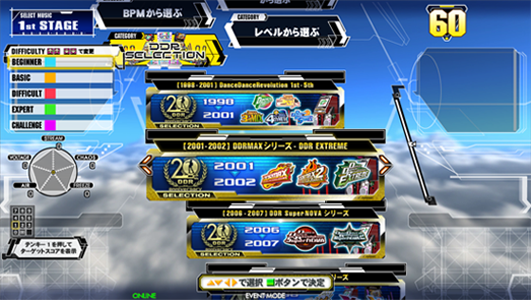 New folders are split into different eras of DDR, and selecting a song within that era allows you to play that song in the theme of a game in that era. 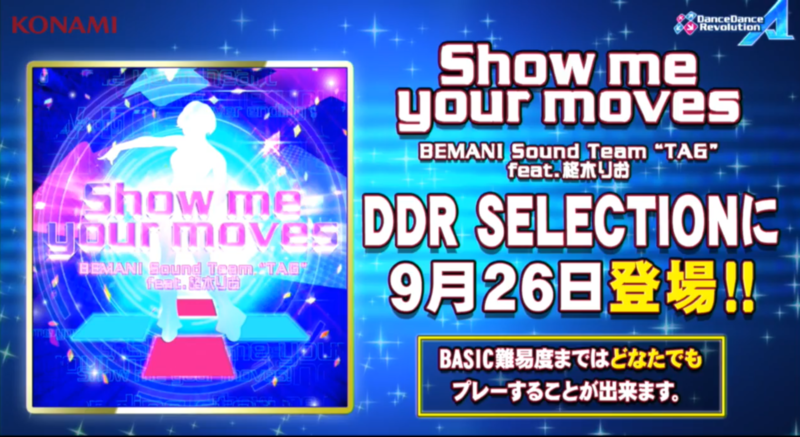 Another new section named “DDR 20th Anniversary songs” introduces a brand new song called “Show me your moves” by BEMANI Sound Team “TAG” feat. 柊木りお. 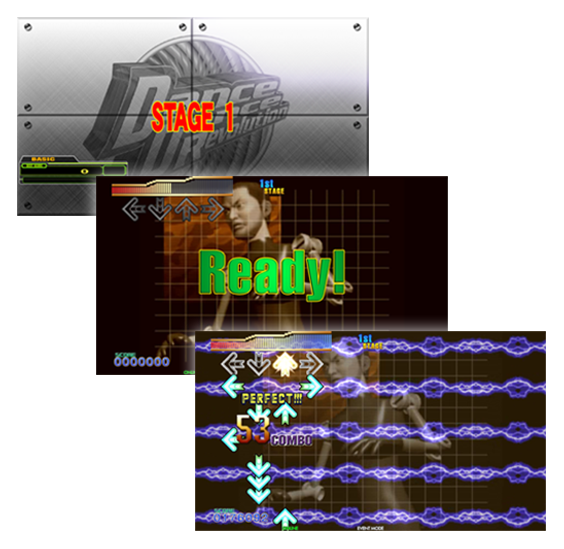 In addition, there is yet another countdown on the page on a tile that says “coming soon” and another of the same tile without a countdown, indicating that there is still yet more to come with the DDR 20th Anniversary event. 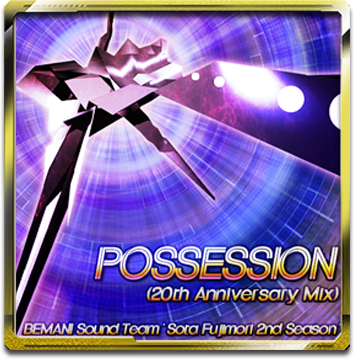 POSSESSION (20th Anniversary Mix) has been revealed as the next 20th Anniversary song unlockable under the “DDR 20th Anniversary songs” folder during EXTRA SAVIOR on EXTRA STAGE, starting from Basic. 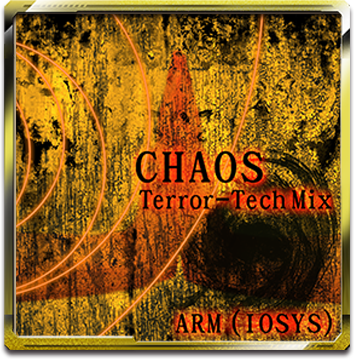 CHAOS Terror-Tech Mix has been revealed as the next 20th Anniversary song unlockable under the “DDR 20th Anniversary songs” folder during EXTRA SAVIOR on EXTRA STAGE, starting from Basic. 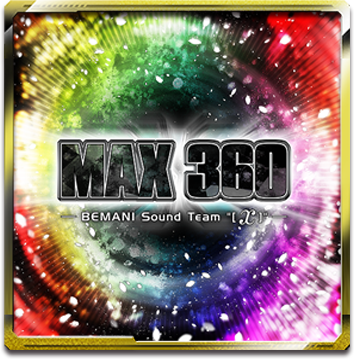 MAX 360 has been revealed as the next 20th Anniversary song unlockable under the “DDR 20th Anniversary songs” folder during EXTRA SAVIOR on EXTRA STAGE, starting from Basic. 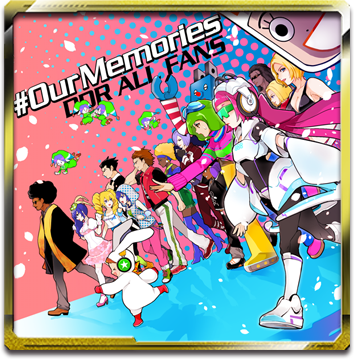 #OurMemories has been revealed as the next 20th Anniversary song unlockable under the “DDR 20th Anniversary songs” folder during EXTRA SAVIOR on EXTRA STAGE, starting from Basic.